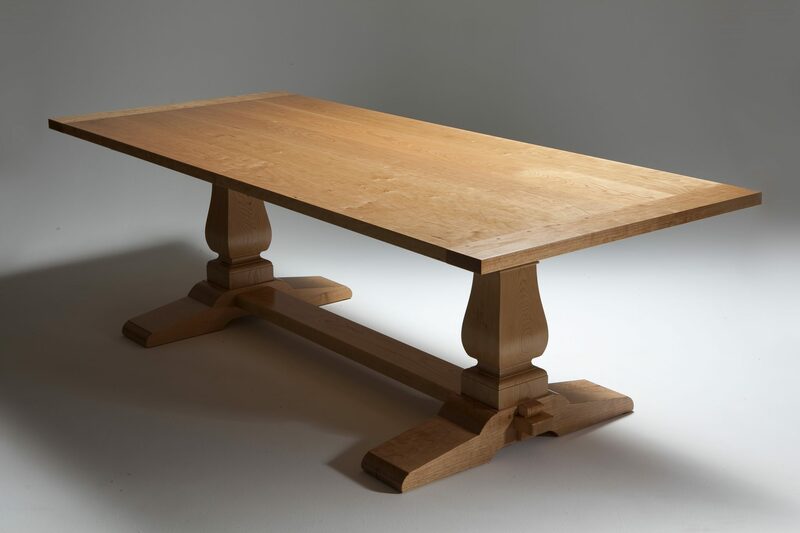 This Trestle Table is made using the highest quality traditional joinery with no nails or screws used in the construction. 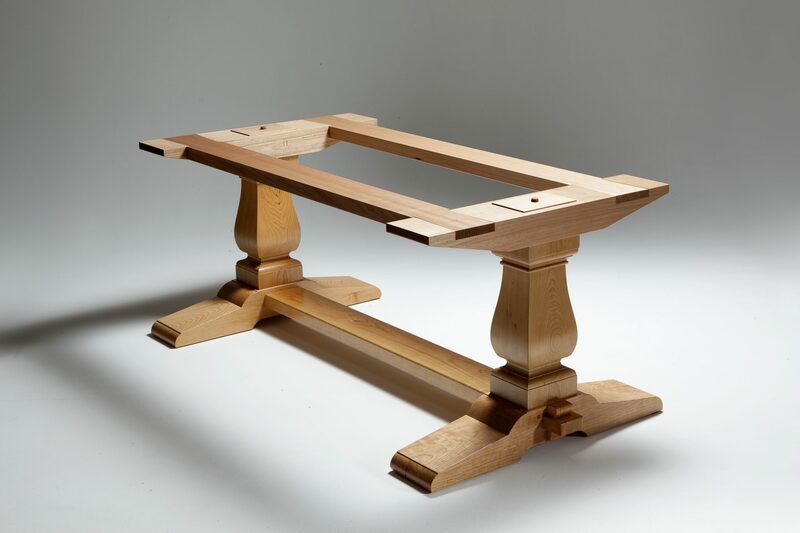 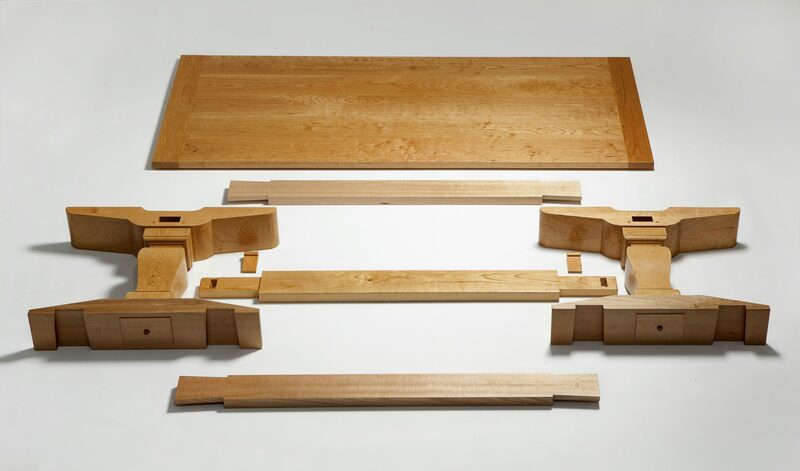 The table top features a breadboard end with pegged mortise and tenon joins and the table is connected together using a stretcher beam at the base. 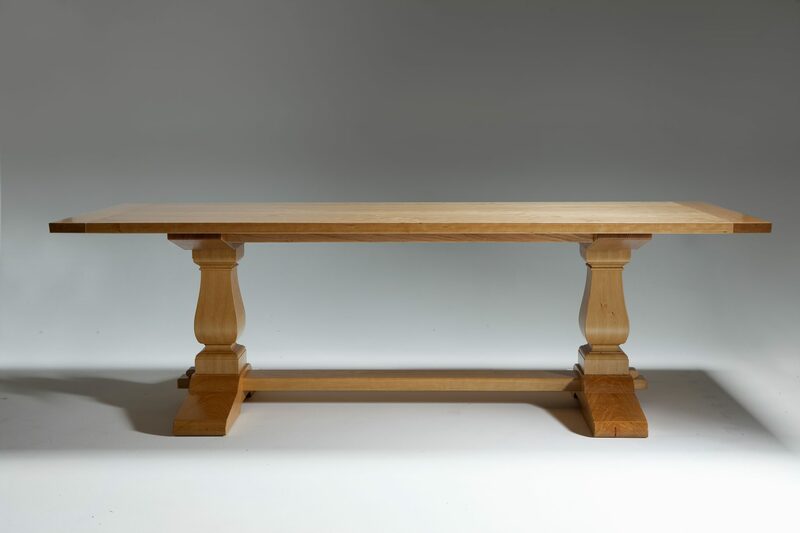 The table is completed with baluster hand shaped columns on sleigh feet. 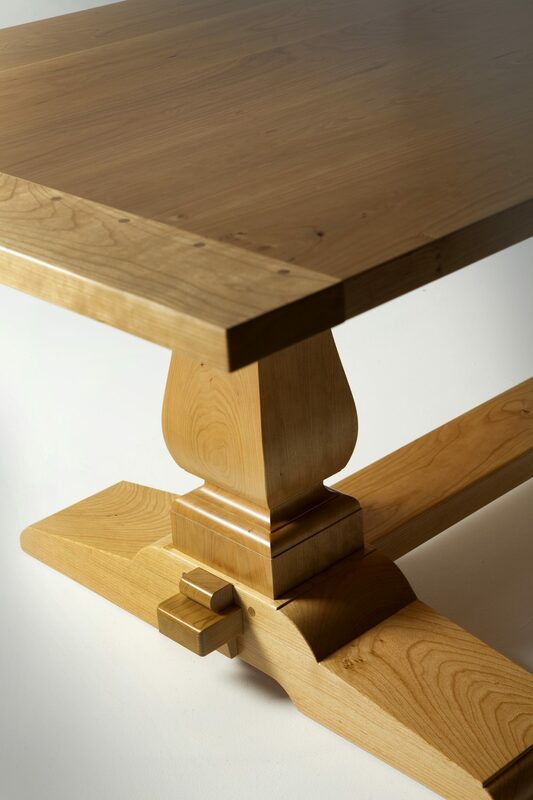 The natural finish enhances the beautiful grain of the Cherry which naturally darkens to a warm red brown over time.